It’s been a shade under seven years working here at Google in Atlanta; the longest I’ve worked anywhere. Today is my last day. If you know me, you know I’ve been a Google fanboy for years, pushing Gmail on friends and family; getting on the Nexus (Android) bandwagon back in early 2010; owning Google Glass and embarrassing my wife (but impressing my kids); feeling a goofy kinship with Sergey Brin back when he wore Vibrams; and on and on. I’ve had a tribal pride in working at Google, and I’ll always be a card-carrying Xoogler. 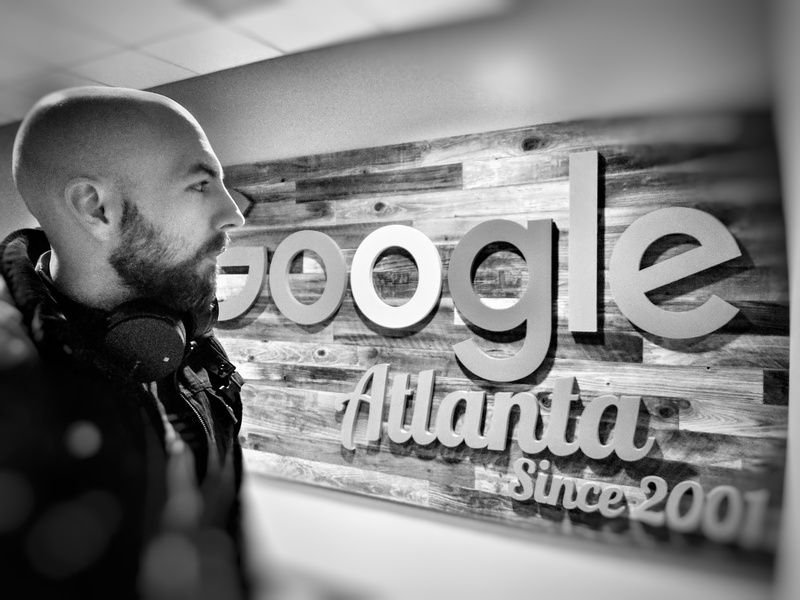 While my work in Google was most commonly behind the scenes in sales, my legacy to Google Atlanta is as visible as it gets — a half-decent logo that adorns walls, t-shirts, and more (e.g. the adapted metal sign above; the image below; some other use-cases). There’s so much I could share about working at Google: good, bad, and ugly. Perhaps in time I’ll dabble in sharing it all. For now, here’s a bit of good. I felt lucky when Google paid me to spend seven weeks with my second daughter shortly after she was born; and later, again, when I spent thirteen weeks with my youngest son after he was born. I felt lucky when Christmas came and it meant I got some new-fangled gadget, whether a phone, a tablet, or the ill-fated Sony Google TV (still works!). I felt lucky to work among people of the highest-caliber who challenged me to be better and grow. I felt lucky to have had visionaries as leaders who could have just sat back and played it safe; instead, they made audacious bets about self-driving cars, AI, solving aging, VR/AR, delivery, bringing Internet to the remote places of the planet with balloons, and on and on. 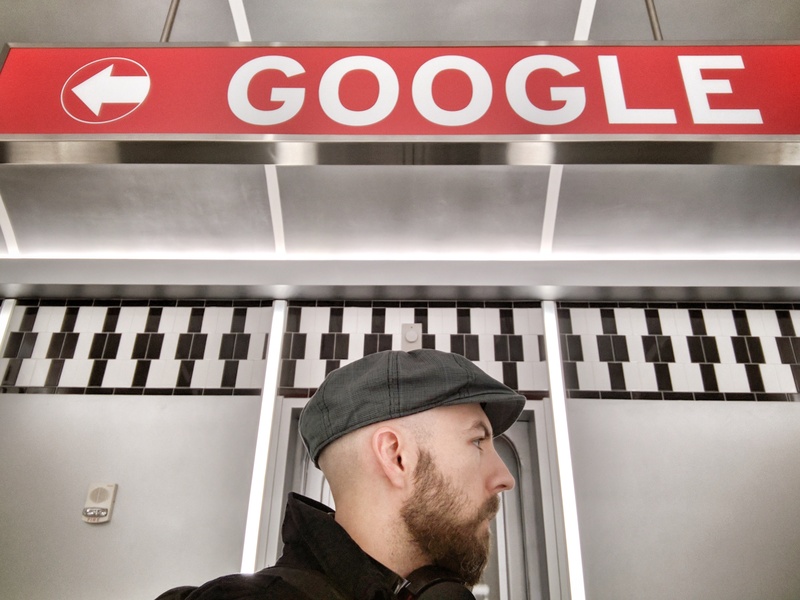 … And I feel lucky even as I say “Goodbye, Google,” and go a new way at a young company that was founded by brilliant, incredible people I only know because I worked at Google. Thanks, Larry and Sergey! It was a pleasure. Next Post Next post: FullStory—I am here!